As we get older in age, it is a natural progression to need more help with everyday tasks and responsibilities. This is why Self-Help for the Elderly provides case management social services for seniors. Case management is a social services program that provides counseling, community resource planning, and coordination to frail seniors in the San Francisco area. Seniors are accessed in their homes based on their mobility, daily living, everyday abilities, and transportation capabilities. They are observed to decipher whether or not they can bathe, dress, feed, transfer, clean, shop, and transport on their own. Once this initial observation is made, a service plan will be implemented in order to take care of the individuals needs. Case management includes short and long term services designed to coordinate and facilitate access to health, social, and personal care. It is a collaborative process of planning for options and services to meet an individual’s and family’s health needs through communication and available resources. Individuals are visited periodically in person, and are checked on via phone even more frequently. Individuals with dementia have the option to wear an ID bracelet that contains their own information and emergency contact information. 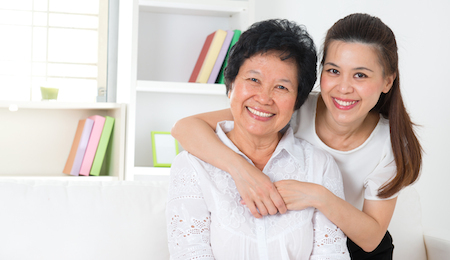 Case management allows family members, neighbors, and friends to have peace of mind when it comes to their loved one. This social service is provided free of charge to all San Francisco seniors. Funding for case management is provided by San Francisco Office on Aging, Department of Aging and Adult Services, San Francisco Mayor's Office of Housing and California Department of Education. To get your loved one started with living a more quality life, call Self-Help for the Elderly today to learn more about our case management program.